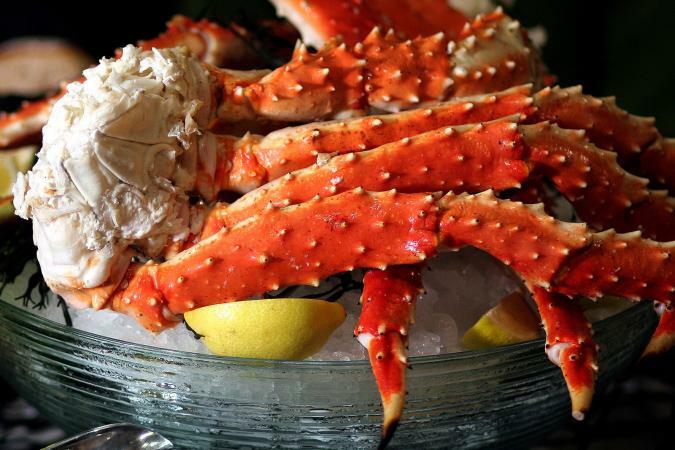 King crab legs are an Alaskan delicacy and, when prepared well, are a delicious selection for a seafood feast. The meat is mild, sweet, and tender and can come in large chunks because of the size of the legs. In some cases, just a few crab legs make up an entire pound. Every year, crab fishermen set out to capture boatloads of the giant delicious crabs in the dangerous Bering Sea of northern Alaska. King crab legs are sometimes available fresh during crab season, which takes place during the fall months. The rest of the year, king crab legs are available frozen. King crab can also be expensive and somewhat difficult to find in the off season, so knowing how to cook king crab legs properly is sure to make the investment worthwhile. King crab tastes best fresh or flash frozen. Frozen king crab legs are generally cooked in advance on the boat, by the processor, so they only need to be thawed and heated. Fresh king crab legs should be cooked the day of purchase or immediately frozen. Frozen king crab legs should be thawed before cooking. Either thaw overnight in the refrigerator or place the crab legs in a sealed plastic bag and soak the bags in cold water, changing the water every 30 minutes until fully thawed. 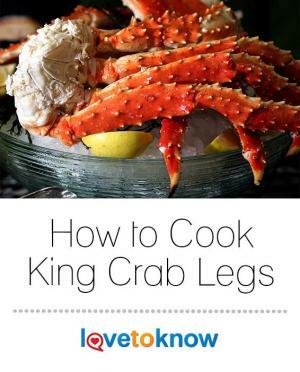 Always cook thawed king crab legs within 48 hours of thawing. King crab legs should always be cooked in the shell. For each of the methods below, do not shell the crabs, but rather cook them just as they come from the store. If making king crab legs as the main dish, cook 8 ounces to one pound per person. Be very careful not to overcook the crab as it quickly become tough and flavorless. Steaming king crab legs requires a pot large enough to fit the large crab legs as well as a steamer basket. If needed, cut the legs at the joints using kitchen scissors. Consider cooking in small batches as needed. Steaming is an indirect cooking method that preserves the delicacy of the meat's flavor and texture. Place water in the bottom of the steamer pot, at a level below where the steamer basket will sit, and put on the stove on high heat. Add the crab legs to the steamer basket so that no water touches the legs and cover the pot. Steam the crab legs for 6 to 8 minutes. Once the crab has turned bright red and smells cooked - even just faintly - it is ready. Oven baking king crab is a good choice for maintaining the subtle flavor and consistency of the crab meat without letting excess water get into the meat and make it soggy. To cook crab legs in the oven, a large baking pan and some aluminum foil will be needed. Arrange the crab legs in a single layer on the baking pan, cutting into smaller pieces if needed. Add 1/8 inch of hot water to the baking pan. Wrap the baking pan tightly with foil, poking a few holes to allow the steam to escape. Microwaving crab legs is a quick and easy solution to cooking the meat with minimal prep and time. Microwaved recipes often utilize paper towels to aid in cooking. Be sure to check on the crab every few minutes to avoid overcooking the meat, otherwise it can turn out rubbery. Place the crab in a microwave safe container. Wrap two to three of the claws in a damp paper towel. If you want to add flavoring, include it before wrapping in the paper towel. Wrap the paper toweled claws in plastic wrap or bag. Microwave one set of plastic-wrapped legs for 2 minutes at a time. Unwrap cautiously, being mindful of steam and heat. 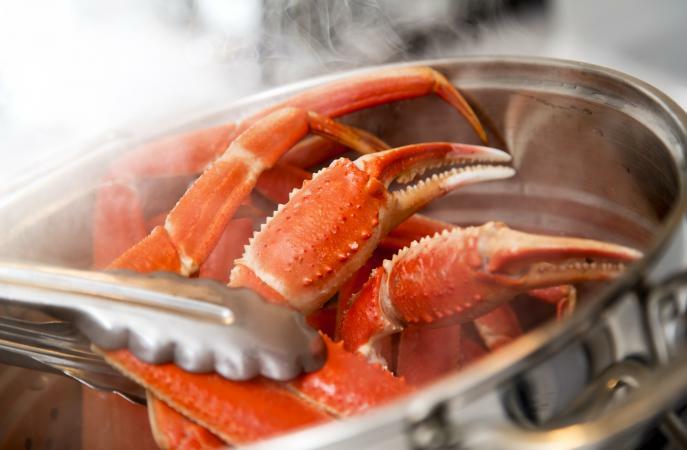 Boiling is not recommended for king crab legs because the meat is so delicate in flavor that cooking it directly in water or using a crab boil seasoning can destroy the product. The subtle texture of the crab can also be ruined by letting water into the meat, which happens when the claws are cut into smaller pieces to fit in a pot. General consensus is that it is best to keep things simple. Serve with a little clarified butter, a wedge of lemon, a simple salad, corn on the cob, and a crisp chardonnay. By learning to cook crab in these simple preparation methods, it's easy to have a delicious meal that will be remembered for a long time to come.